Buying an engagement ring can be one of the most stressful shopping experiences in life. What should be a part of a very happy occasion can quickly become daunting as you start to consider the details like the right combination of colour, cut, carat and clarity. But choosing an engagement ring doesn’t need to be this way and can actually become an enjoyable experience, when armed with the right information and questions to ask. 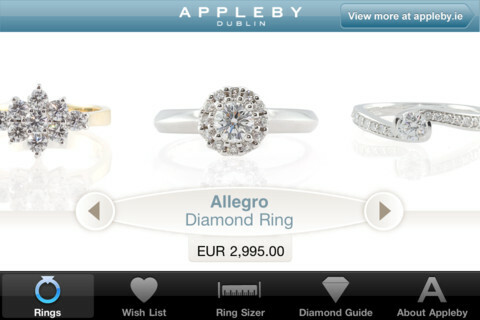 Appleby Jewellers in Dublin have created an app which gives you everything you’ll need to select the perfect engagement ring for your beloved at the touch of a button. 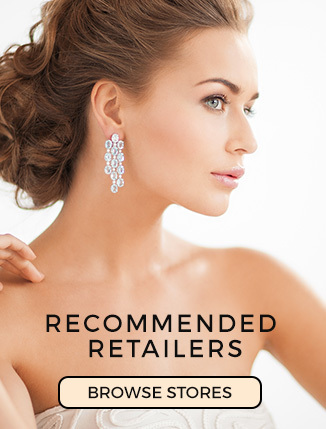 The apps range of helpful features will enable you to browse their collection, save your favourites, and even measure ring size from the comfort of your own home. 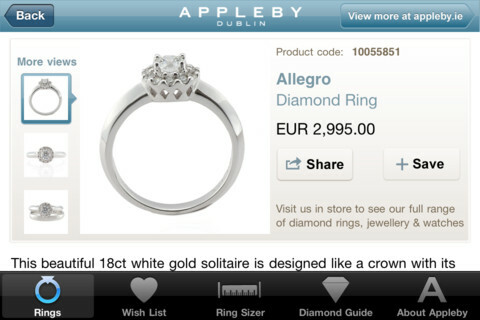 The rings section allows you to browse Appleby’s stunning range of engagement rings at your leisure. You can view details of the ring’s price, quality, materials and craftsmanship, as well as a range of images from all angles, so you can inspect every aspect of its visual beauty. There are pictures of the rings stacked with a wedding band, so you can see what it will look like on your bride’s finger after the big day. 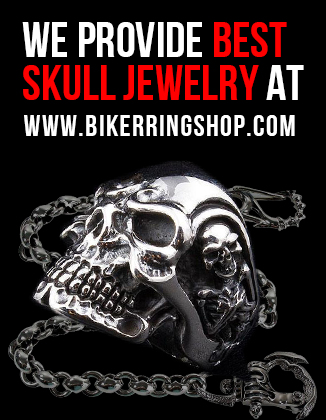 In addition to this, with the ‘share’ and ‘save’ options, you can email details of the ring to a friend or relative to get their opinion, or save it to your wish list to narrow your choices down. The wish list function allows you to create a shortlist of your favourite rings, so that you can see them all in one place and consider your options carefully. This feature is especially useful if you’re stuck between two rings, because seeing them side-by-side may help you make your choice. This is a great, unique feature of the Appleby app. You can place any ring onto the screen of your smartphone, and slide along the size options at the bottom of the screen to see which one matches. Finding out a woman’s ring size is normally one of the hardest bits of a proposal, but this feature takes all of the stress away! You can surprise your bride to be without raising suspicion, because you’ll only need to borrow one of her rings for a matter of minutes to find the perfect fit. The app also comes with a helpful diamond guide section, with a section of each of the 4 C’s – cut, colour, clarity, and cut. These four aspects are some of the most important things you need to consider when purchasing a diamond, but you’ll have all of the necessary information at your fingertips. Appleby Jewellers have been offering the very best in engagement rings, wedding bands and the finest handcrafted diamond rings and jewellery to generations of Irish customers. 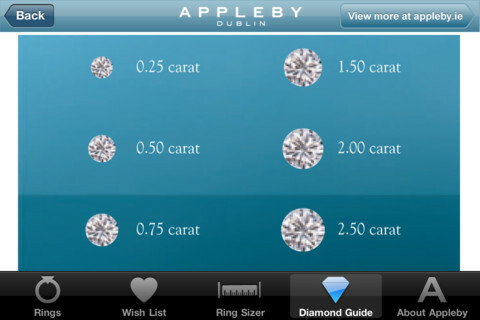 The Appleby Jewellers app is available now for free download on Apple iOS. 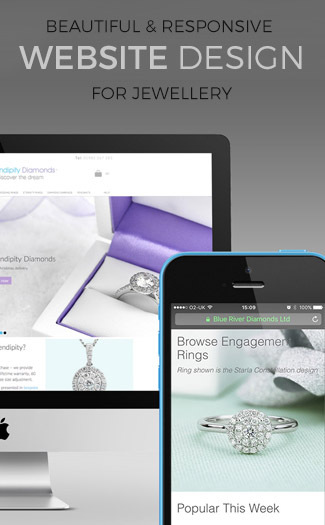 Download the app today and see how it can help you to choose your perfect engagement ring! Previous Article6 EPIC Jewellery iPhone apps that will make you want to buy. This is an absolute minefield for men. My fiancee proposed last month and bought me a ring that was two sizes too big… :-s The ring sizer would have been great for him. Luckily his taste was better than his size judgement!